Our Academy is your online destination to the world of DIY fermenting. Whatever your fancy – vegetables, fruits, herbs, nuts, grains or dairy – each module is explained with videos, downloadable resources and easy to follow recipes. Welcome to the online world of wholseome microbiology. Healthy Priobiotic Foods for a happy life. Various tasty preservation techniques to kickstart your ferments. Boost your Kombucha, Water Kefir and Milk Kefir making skills. 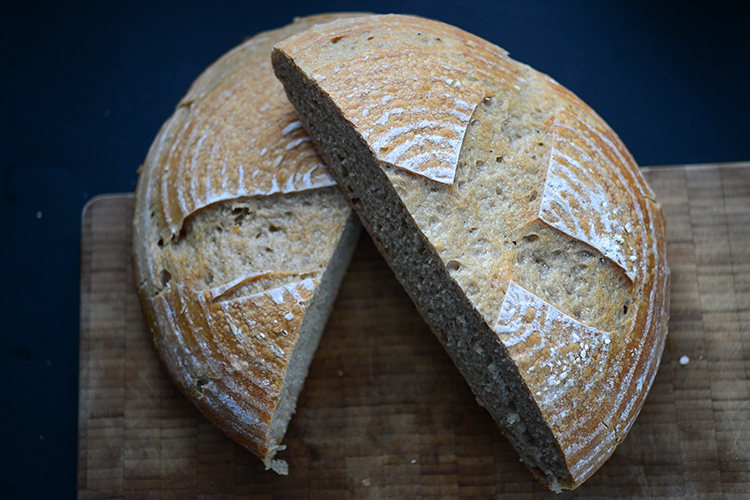 Learn how to make all your favourites with a sourdough culture. Our workshops are interactive and informative. Through touch, taste, smell, sight and even sound you will be guided with hands-on methods through the microbial world of fermentation. Our large selection of workshops allows your understanding of fermentation to proliferate and grow. Check our calendar to see where a workshop is being held near you. 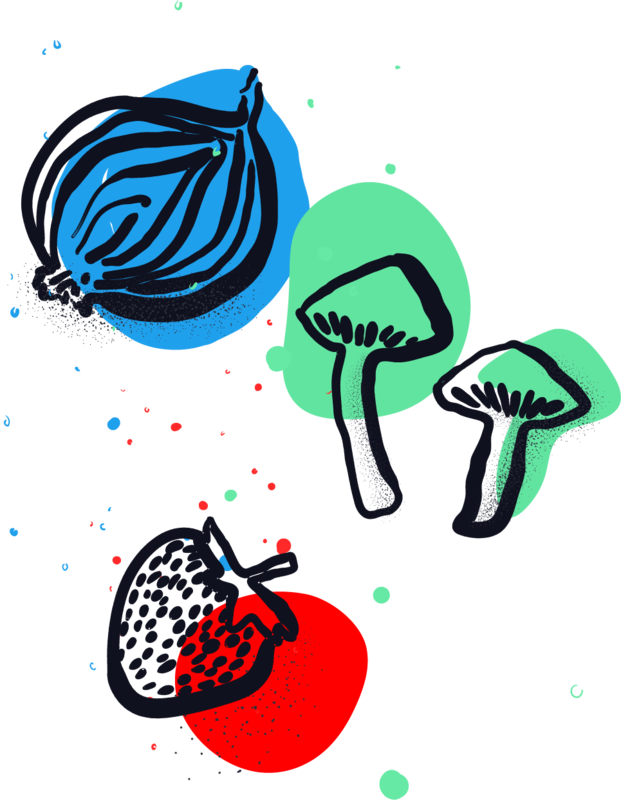 Meet other alchemists who are apart of the Edible Alchemy community and ask Alexis, your Bacteria Barista, your fermentation questions. You will leave with a custom ferment made by your own hands with the supervision of Alexis. Whether it be a super-kraut, fizzy probiotic soda or vegan seed-cheese, you will have the starter and gain the core knowledge to continue the fermentation process at home. Discover the science and unique flavors of fermented vegetables around the world. From classic sauerkraut and pickled Asian vegetables to the spicy and tangy flavors of South American cuisine. We will go through various vegetable fermentation methods so that your skills are accurate enough to ferment any vegetable! In this workshop you will learn the history of cultured dairy and the many forms it takes around the world. We will taste and work with different milk cultures in order to understand the various forms milk can take. You will discover the health benefits as well as the various ways to use cultured dairy in everyday practices. Prepare your tastebuds for a spicy adventure. In this workshop things get HOT HOT HOT and we learn how to ferment our own custom hot sauces in traditional as well as fusion techniques. In this workshop you will learn about the delicious ways to make sodas that are good on our tongues and even better for our bellies. We will go through the process and care of water kefir crystals (also known as Tibicos) to create flavorful, bubbly drinks for the rest of those hot days, or mixing and matching for self-made cocktails. Take home your water kefir crystals to keep up the brewing with your own flavors at home. 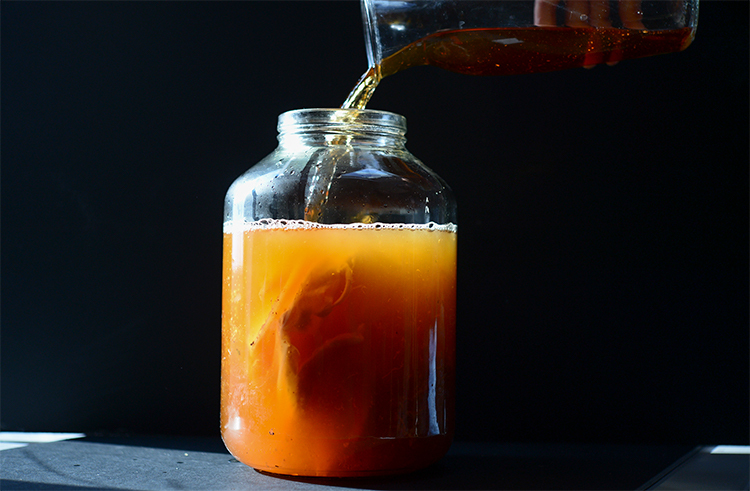 So maybe you've made kombucha and water kefir before... and you're looking for something a little more exciting, spicy or even intoxicating. Something that gives you a buzz perhaps? Here we learn the natural way through wild and cultured fermentation how to make the original ginger beer. Get ready for some fizzing and popping and take home your own custom sodas. Learn what it means to become a yeast catcher! In this workshop we learn the technique and process of making sourdough bread from start to finish. We will discover how sourdough compares to store bought breads. We will feel and appreciate the textures of the dough in the process, and taste that fresh difference! Everyone takes home some of Cornelius, our 153+ year old sourdough starter that was picked up on the Microbial Circus Tour 2016 from Iceland and a handcrafted dough! We will also talk about the importance of soaking, sprouting and fermenting grains, legumes and seeds. Learn our recipe for wholesome, handcrafted cheese and crackers. Take home custom seed-cheeses and dips with new inspirations. Through taste, touch, sight, smell and discussion we will explore the fascinating microbiological processes that turns simple tea into something so much more. Everyone will have the chance to make their first kombucha brew and take home their own SCOBY for further brewing and beyond! Ever wonder what a tincture was? How to use one? When to use one? In this workshop we learn the basics on herbal tincture making using the Folk Method of European herbalism. We learn the healing properties of various herbs, seeds, flowers and roots and how to extract them in the form of a tincture. Also ask about our herbal bitters & oxymels workshops. Fruit fermentation can take the form of probiotic vinegar ferments or chutneys, or much much more depending on the fruit availability and surplus. Send in your requests! In this workshop we taste and learn all about Rhizopus - the mold culture that makes our nutty tasting tempeh. You will go home with satisfied taste buds and a bag of your own tempeh to incubate at home and watch the wonders of mycelium at work! Taste, talk and explore the world of mold cultures! Here we learn about koji. The mold that helps us make miso & sake and many other delicious Asian delicacies. In this workshop we taste various kinds of miso, learn how the process is done, and mix together our own custom miso to take home and let ripen into an amazing umami taste-explosion! Common condiments such as ketchup, mustard, mayonnaise, relish, chutney, hot sauces and salad dressings are loaded with processed sugars and denatured vegetable oils. But they don’t need to be! Learn how to transform your favorite condiments and sauces into probiotic, nutrient dense and flavor-filled additions to any meal. As always, bring your curious taste-buds! Workshops vary throughout the year depending on season and resources available. The secret of miso making is rising out and being shared with the world. The taste UMAMI is being understood world wide like never before. This event is interactive and informative. 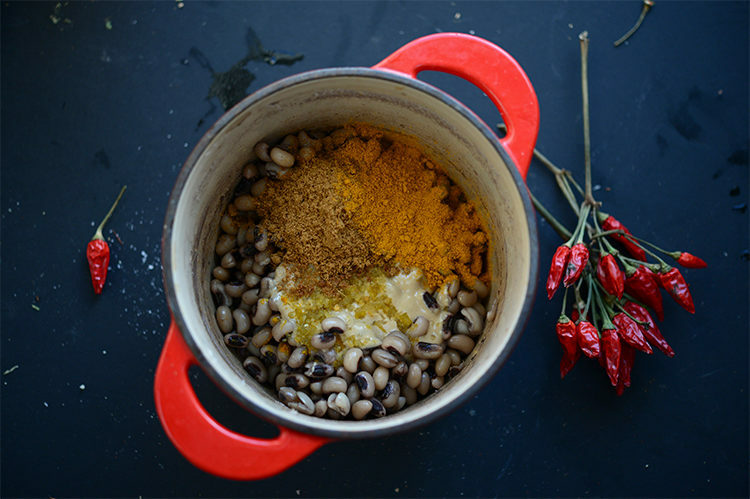 Through taste, touch, sight, smell and discussion we will explore the fascinating microbiological processes that turns simple ingredients (beans, salt, mold) into delicious and nutritious misos to be savoured and enjoyed in various ways. The focus of this workshop is all about MSIO. We will eat, talk and mix together our own misos to take home and allow to ripen and deepen taste and in health benefits. Please bring your curious taste buds and a jar for your miso. 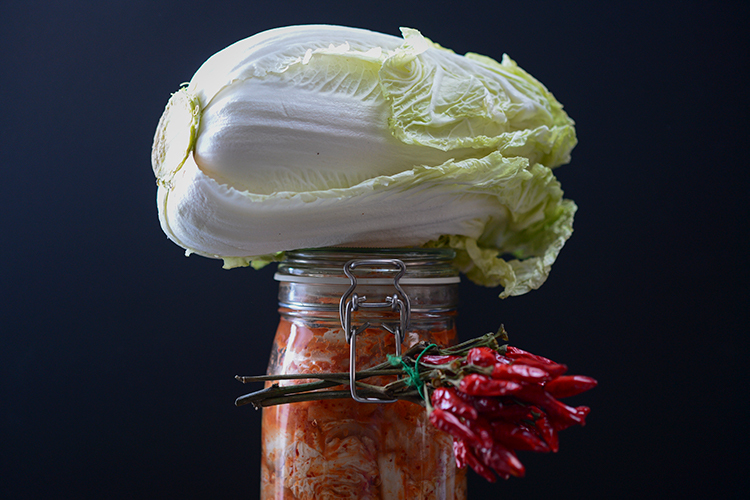 KIMCHI-KRAUT WORKSHOP – The harvests have been made and things are bubbling and souring to perfection. Our focus tonight is KIMCHI, KRAUT and PICKLES – the living ones of course – using the traditional recipes AND new fusion ideas in order to find your perfect taste and texture that the whole family will enjoy. Get your tastebuds ready – will we TALKING, EATING, DRINKING, and MAKING delicious probiotic foods – some you’ll have never tasted before! Everyone should come with a curious appetite, creative hands and minds and leave with a jar of delicious, custom made fermented veggies that one can observe and enjoy during the weeks ahead. Bring: a jar and if you have any veggies that are in surplus from your harvest, lying around the kitchen or fridge that are starting to look sad and unused: zucchini, carrots, onions, peppers, cauliflower, beetroot…etc! (extra jars and veggies will also be provided for our creative uses), and of course your curious tastebuds for the probiotic snack and drink bar! We will take a taste-trip around the world and discover the dips, sauces and spreads from region to region. Each participant has the oppertunity to open their taste buds and discover their own flavour palat for their very own fusion-fermented cheese, dip or sauce wih the information gathered at the workshop. Tonights focus is on vegan CHEESES, DIPS and SAUCES using various types of protein rich grains, seeds, nuts and beans. Our events are INTERACTIVE and INFORMATIVE. Through taste, touch, sight, smell and discussion we will explore the fascinating microbiological processes that turn grains, beans and seeds into probiotic cheezes and dips. Each participant will get to sample all the various tastes and join in the discussion about the benefits of fermented foods. There will also be a do-it-yourself probiotic dip / spread / sauce making station so everyone can go home with their very own creation. In an anti-bacterial age, fermentation is quickly becoming a lost art. We are here to reclaim it as an energy efficient food-preservation technique which is rooted in our cultural histories. We are captivated and inspired by the way fermented foods engage our senses and enhance whole food eating..
Customize a team building event or private one-on-one workshop of your choice. Depending on where we are – Berlin or on the move as the ‚Microbial Circus‘ – feel free to contact us and book your own Edible Alchemy experience. Have too many cherries? Let’s make some cherry chutney or probiotic cherry vinegar. Lots of herbs in the garden this year? Can you imagine the most delicious herbal sodas and elixirs?! Custom dining, workshop experiences or fermentation info sessions and tours are also available upon request.